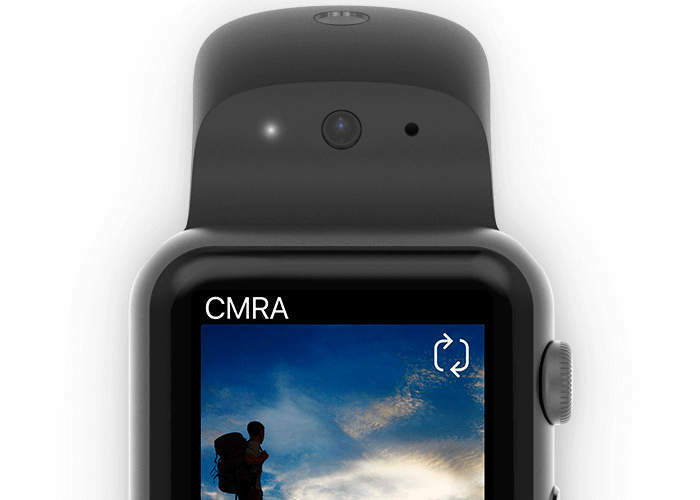 If you would like to add a camera to your existing Apple Watch you are sure to be interested in a new device called CMRA that adds not one but two cameras to your wrist worn wearable. 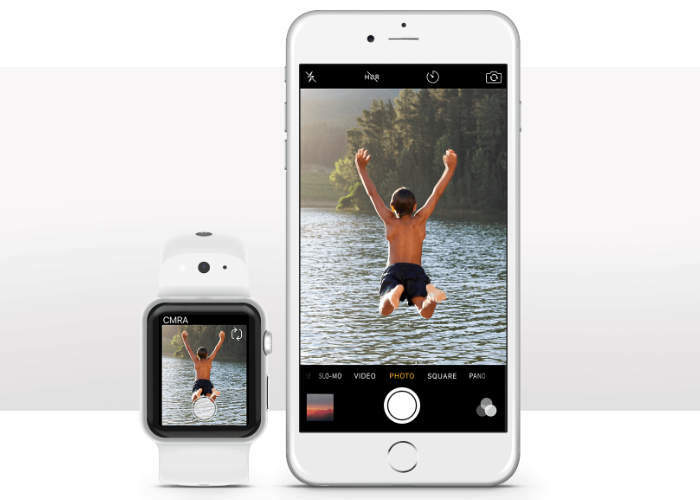 Enabling you to chat, capture and even share video footage and images directly from your wrist. The CMRA Apple Watch strap is compatible with all Apple watchers running the latest watchOS 3 and will connect to smartphones from the iPhone 5 or later. Watch the promotional video below to learn more about the new Apple Watch camera strap which is now available to preorder priced at $149. Offering you a 40% discount off the manufacturer’s recommended retail selling price of $249. Shipping is expected to take place sometime during the spring of 2017. 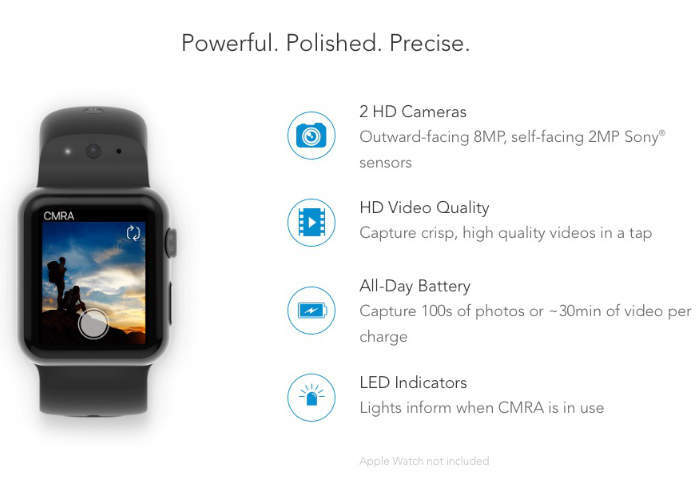 Seamlessly Integrates with Apple Watch and iPhone. Syncs with your photo gallery so you can store, edit and share on your favorite apps. Available in 3 colors. Limited edition gray, pre-orders only. Beautifully Designed from the Inside Out.